As people age, they often experience a variety of health-related issues, including hearing loss and memory difficulties. 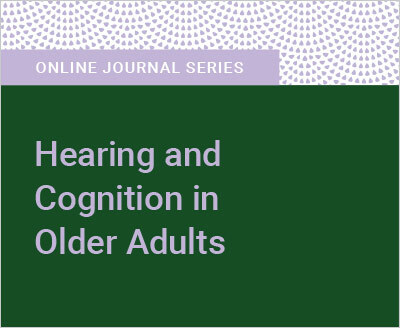 This journal self-study explores the relationship between hearing loss and cognitive functioning and considers what is known about age-related cognitive decline and how it may be influenced by hearing loss and the use of amplification. As the primary provider of hearing-related services for older adults, audiologists are in a position to address cognitive issues and assist patients and families. This journal course discusses strategies on how to do so effectively.